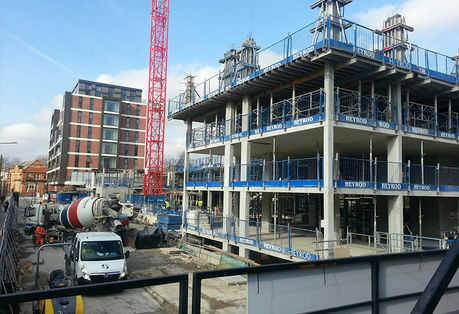 Construction on Downtown Manchester is well underway with the main civil operations up, the basement car park slab and associated drainage have now been completed. The concrete Frame will also begin within the reporting period. Below is a detailed summary of what each stage of phase one and two are at. Block D: 3rd floor completed. Block E: 1st floor completed, walls and columns 1st to 2nd floor currently progressing. Block F: 1st floor completed, walls and columns 1st to 2nd floor currently progressing. Civil operations to basement completed. Basement walls, columns and cores progressing. The concrete frame operations are currently taking a two week period to commence and complete each floor. If you would like more information about Downtown Manchester, don’t hesitate to contact us on enquiries@hopwoodhouse.com or call 0161 3373890.